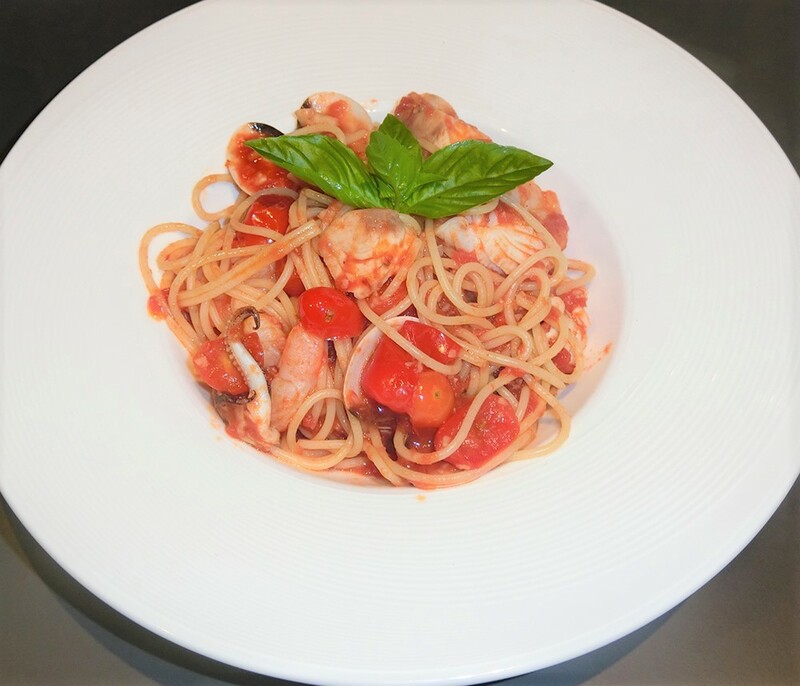 Home Lifestyle Dining Out Portofino – a little part of Italy? Portofino – a little part of Italy? 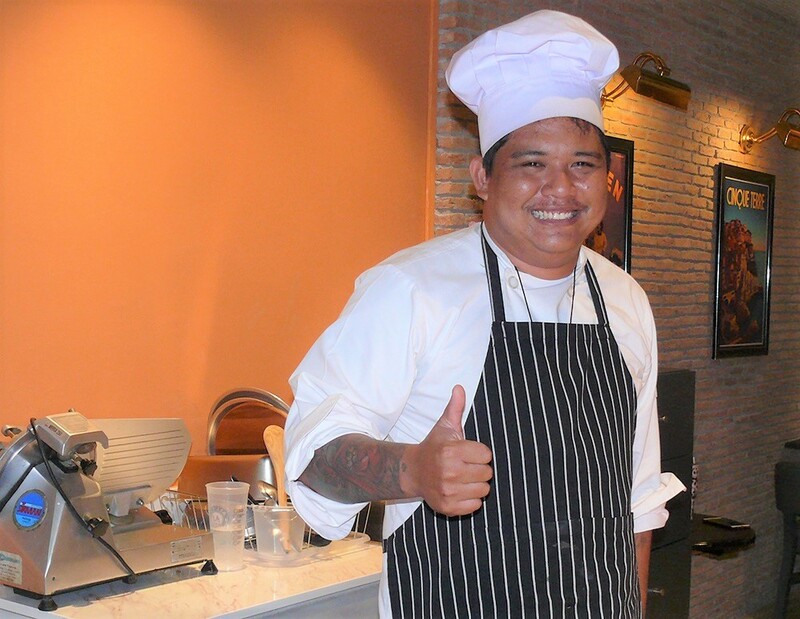 There is no getting away from it – people in Pattaya should never go hungry. Look around you at the number of restaurants, some well established and others newcomers, within walking distance, no matter where you are standing. This week’s Dining Out was at a “new” restaurant, but one with strong ties to an “old” restaurant. Portofino Italian restaurant has taken over one third of Jameson’s Irish restaurant floor space and many of the staff could be seen flitting between both. There is one connecting door between the restaurants and going toilet wise from Portofino gives one a sense of déjà vu, going round the end of the Jameson’s bar to get there! The “real” Portofino is a fishing village on the Italian Riviera coastline, southeast of Genoa city. Pastel-colored houses, high-end boutiques and seafood restaurants fringe its Piazzetta, a small cobbled square overlooking the harbor, which is lined with super-yachts. A path leads from the Piazzetta to Castello Brown, a 16th-century fortress and museum with art exhibitions and panoramic views of the town and the Ligurian Sea. “Our” Portofino does have exposed brick walls, pastel colors, Italian wall décor and very comfortable chairs and grey tables. At the far end is a cocktail bar, fresh vegetable salad bar and a small pizza oven. A glass side wall looks out on Soi AR from an alfresco dining area for smokers. No Super-yachts in the soi, however. The menu is simple and easy to follow. It begins with Antipasti (B. 90-395) with a cheese platter at the top end. A choice of pizzas (B. 195-295) with all the usual types, with the Four Cheese Pizza top of the list. Pasta is not expensive at B. 195-260. The menu then diverges into Thai and European with a Beef Wellington no less (B. 395) and lamb chops! Thai favorites (B. 140-190) are bolstered with a Thai Pizza with Krapao, something you don’t see in other pizza shops. Another interesting variation was the Breakfast pizza (which can be ordered up to 9 p.m.). We were a larger group than normal, so were able to taste many of the items. With the Thai members, the moo pad krapao pizza was a big hit and be warned, very spicy. 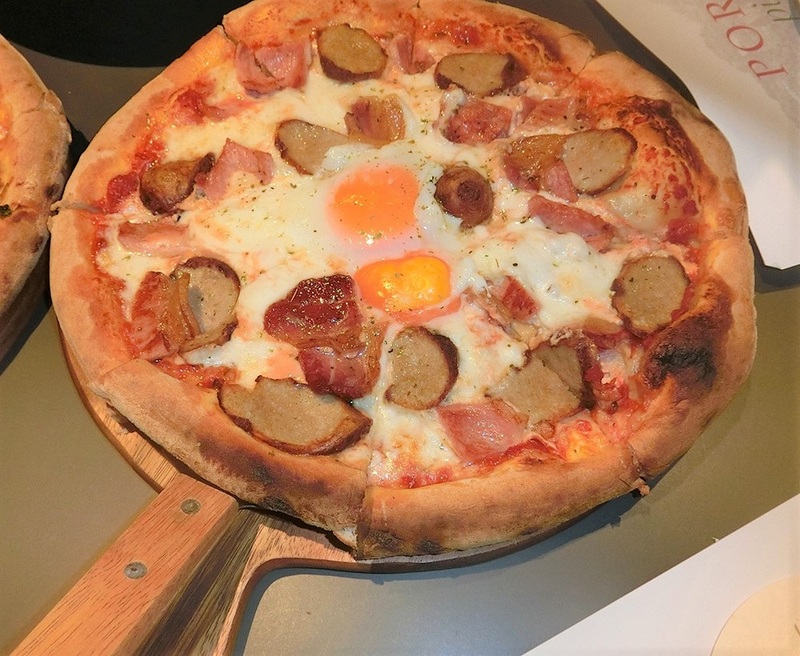 The English breakfast pizza was popular with the two English reviewers, complete with its two fried eggs (easy over comes from America I believe) bacon and English sausage. My favorite pizza was the Four Cheese, the blue cheese in it just adding to the wonderful taste. We also tried a pasta carbonara, just to maintain the Italian atmosphere of Portofino, and then moving away from the pizza style of eating. The open kitchen is kept busy with two chefs, cooking lamb chops and a Beef Wellington came to our table as well as the pizzas, with the chops in particular, getting universal acclaim. Yes, there is a drinks menu, and the alcoholic choices just come from next door, a very handy arrangement. We chose some beers, which went with pizzas very well. So we have a new Italian pizzeria in town. Will it get acceptance amongst the Italians, or those who just want a pizza? The food was very good and the menu covers Italian, English and Thai, so they are all covered. The venue itself was clean and well organized, once you got used to the toilets being ‘next door’ (Jamesons). Despite being conjoined, the two restaurants are quite different, but the welcomes are just the same. Well worth a visit. 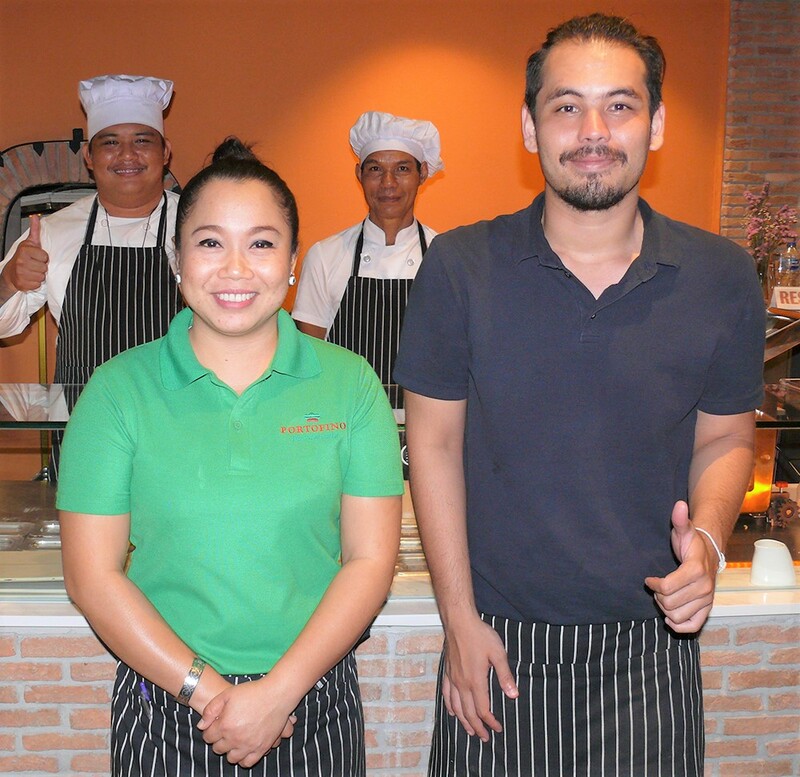 Portofino Pizza, Soi AR, adjacent Jamesons Irish Pub, telephone 038 411 930, open 11 am. till midnight, seven days.